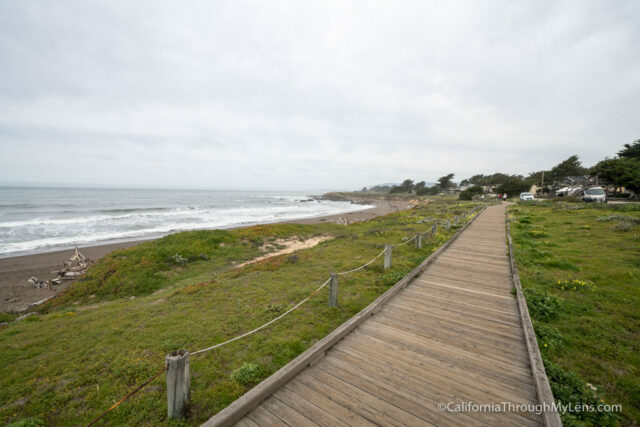 The town of Cambria is a hidden gem in Central California as this small town has a super relaxing vibe with beautiful beaches, great restaurants, and fun places to stroll like the Moonstone Beach Boardwalk. 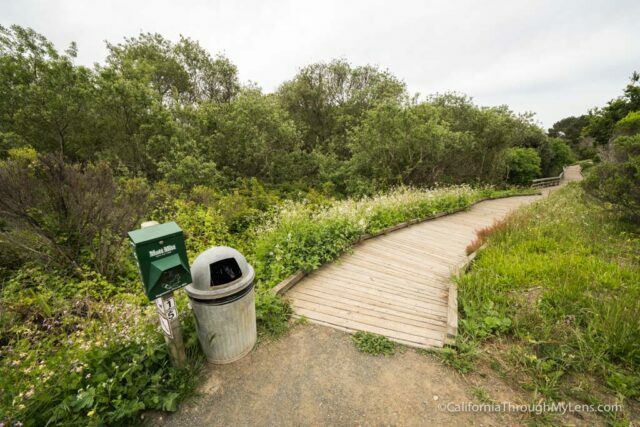 You can access the boardwalk from any part of Moonstone Beach Drive and walk in either direction for as long as you would like but if you want to walk it from start to finish, here is all the information. 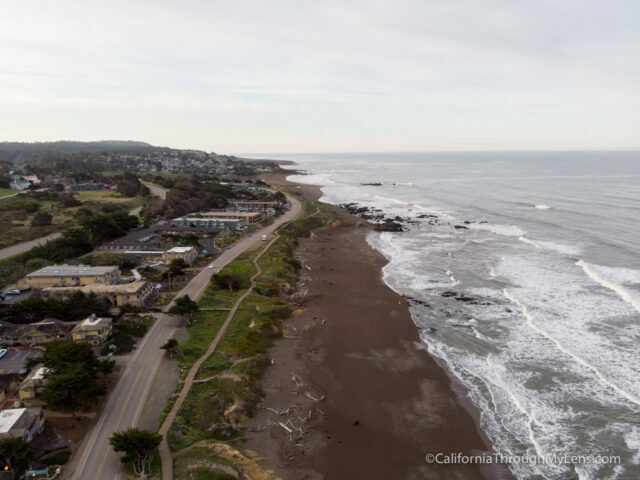 From Highway 1 North, you will turn left on Windsor Blvd and then right on Moonstone Beach Drive. From here you will see a small parking area on the left, or you can continue driving and pull off at the many dirt pullouts along the road. 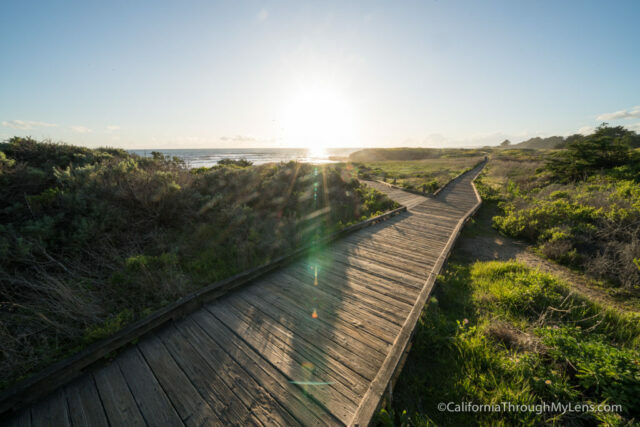 From the parking area on Moonstone Beach Drive, you will see the start of the boardwalk on the right side. This area is not along the coast, so it builds you up for the excellent views that are in store. 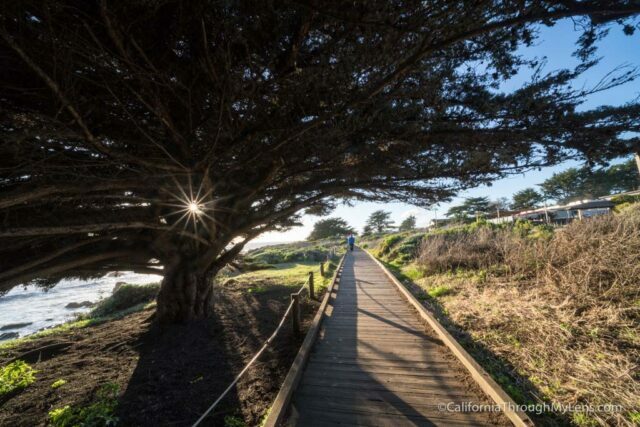 Head down the boardwalk under the trees and foliage before bending around through Moonstone Beach Park. From here the trail follows the coast the rest of the way and it is stunning. 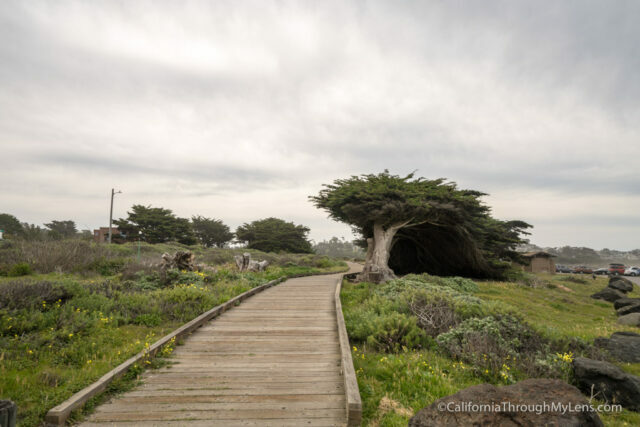 The elevated wooden planks make the trail comfortable to walk on, and there are many spurs that take you down to the beaches or lookout points. 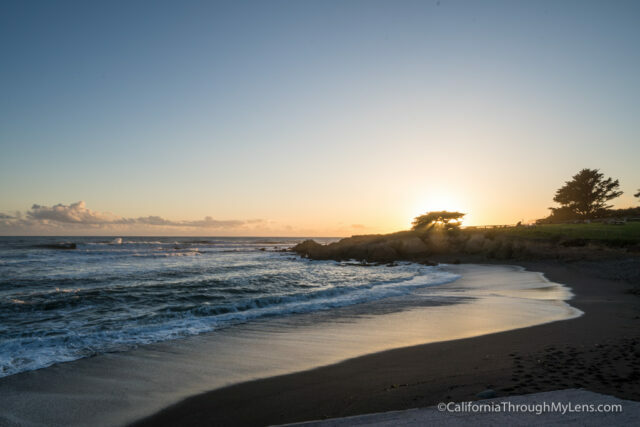 I like doing this walk at sunset as the colors are amazing when the sun is fading over the coast. 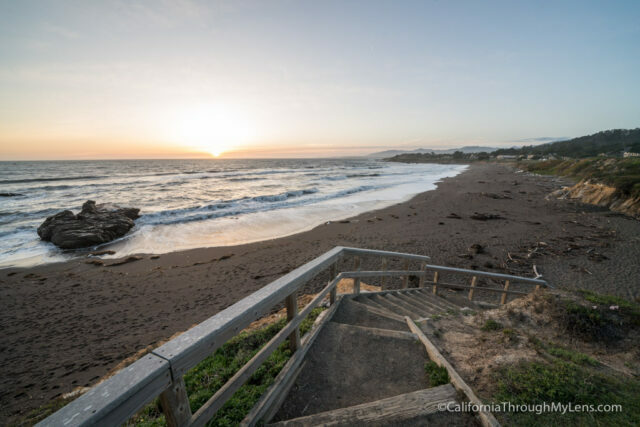 I recommend taking the stairs down to Moonstone Beach for sure, which is about halfway to the end. 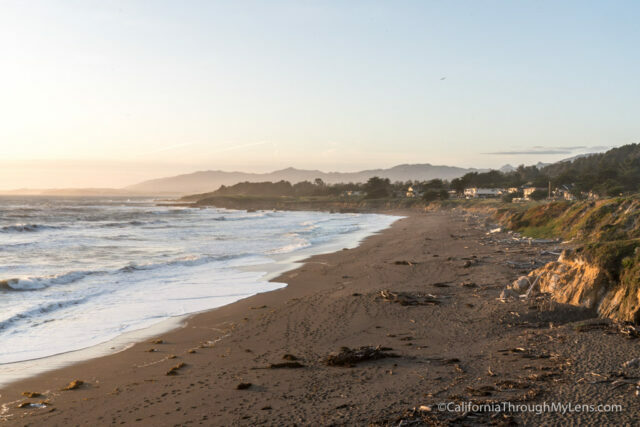 This beach is stunning with a large section of sand and rocks out in the water where the waves crash. From here continue on, and you can see some tide pools if the tide schedule is right. 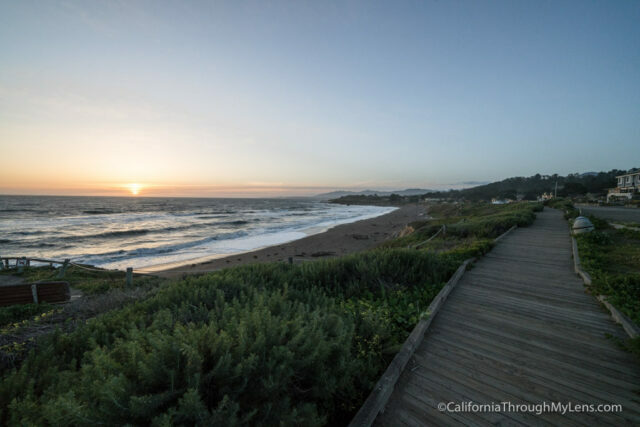 This whole boardwalk parallels many of the area’s hotels, so if you are looking for a nice place to stay then hotels like the Sea Otter Inn are great options for a relaxing weekend. 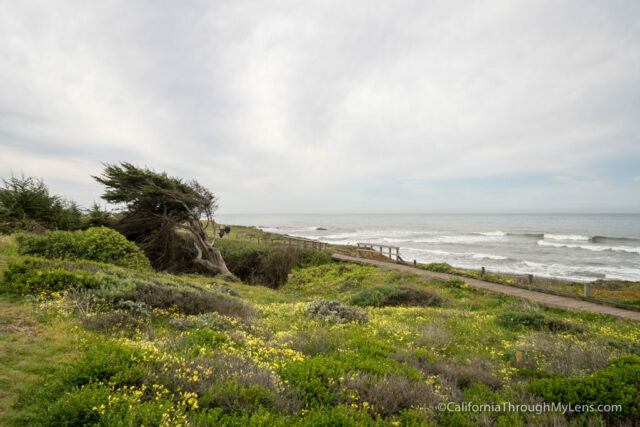 The trail ends near Leffingwell Creek and Leffingwell State Landing Park, the latter of which is one of my favorite spots for sunset in Cambria. From here you can sit and relax on the beach or start making your way back to where you parked. 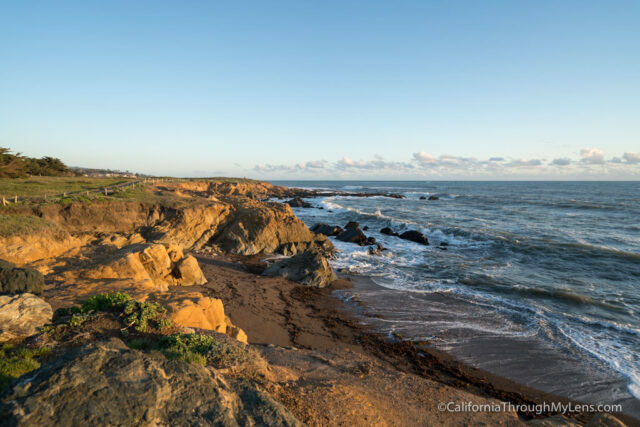 As you can no doubt see, this is a beautiful area for a walk along the central coast. 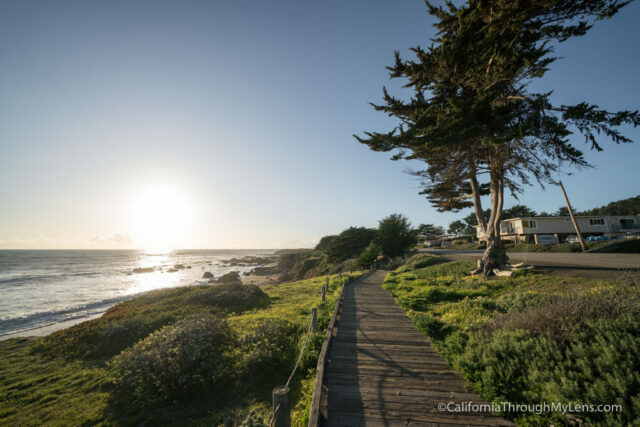 Again, if you don’t want to walk the entire thing you can pull off anywhere on Moonstone Beach Drive and check out a portion as well. Let me know what you think of this spot in the comments.